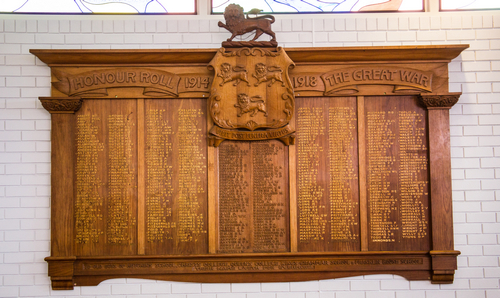 World War One honour board carved 1922, Hutchins School, Hobart . Who was Nellie Payne? Nellie carved this as a memorial to the 442 Hutchins boys who had enlisted for service in the 1914-18 War. It was unveiled in December 1922 and was given pride of place in the new school library when it was completed shortly afterwards. 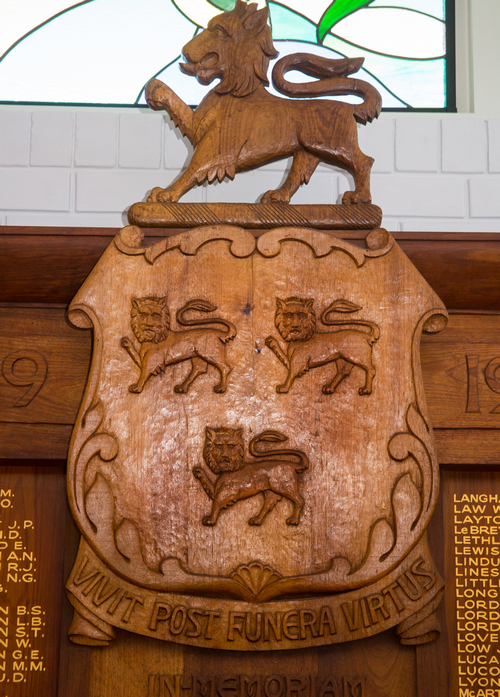 “The first of several notable pieces she did for Hutchins was the great honour roll, one of the finest she created and today one of the school’s most valued and honoured possessions. Her design for it was submitted in 1921 and promptly accepted by the school authorities. She immediately began work upon it and had completed it before the middle of the following year. The ceremony of unveiling the honour board was a notable event in the life of the school, and it was largely attended by boys, masters, parents and friends. General Sir John Gellibrand performed the unveiling ceremony in the presence of the Bishop of Tasmania (Bishop Hay). The ceremony took place on October 11, 1922, in the gymnasium. This was only a temporary site for the honour board, because the school authorities had already approved of plans to build a memorial wing when funds became available. Those plans have since been carried out. The memorial wing, an impressive building, has been completed, and the fine honour roll is suitably enshrined. 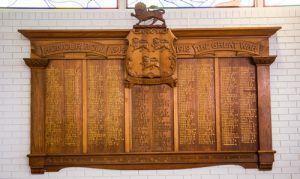 When unveiling the board, Sir John Gellibrand mentioned that 442 Hutchins boys had enlisted for service in the Great War, and no fewer than 74 boys had given their lives. This meant in round numbers, he said, that Hutchins and its affiliated schools – Christ College, King’s Grammar School, and Franklin House School – had furnished the equivalent of half a battalion – a proud record.